The Billionaire's Butler! : Good Manners Vs. Proper Etiquette! 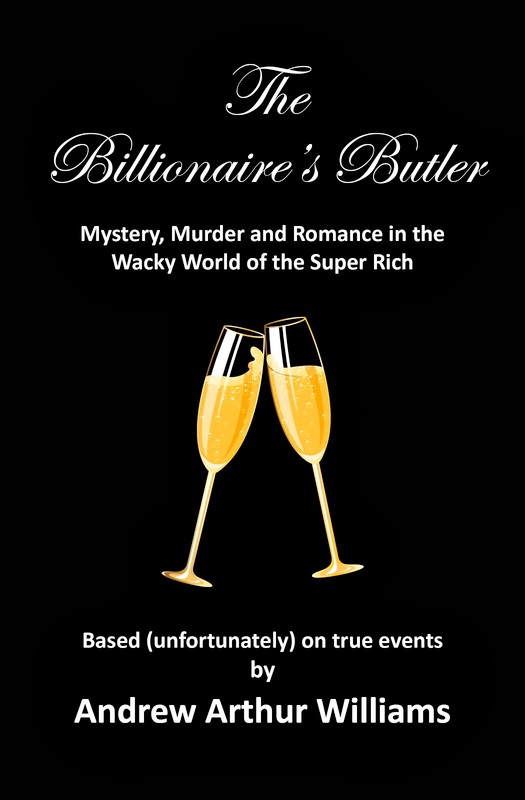 By Andrew Arthur Williams -- A glimpse into the dazzling world of the super rich, from an insider's point of view! Good Manners Vs. Proper Etiquette! There seems to be a common misconception that rich people are blessed with both good manners and proper etiquette that have propelled them to the top of high society. We put them on a pedestal, sometimes trying to emulate their behaviors, like role models in our own struggles toward financial gain and social acceptance. Proper etiquette is simply a set of rules and recommendations to guide us through social situations - things like setting a proper table, sending out invitations and thank-you notes, international protocol on how to greet royalty, other dignitaries, and how to organize them in a reception line. Plus endless rules about personal comportment - like how to walk, how to sit, how to eat, and what conversation is allowed at the dinner table. This is not innate information that any of us are born with. It's a thing that has to be learned along the way from parental guidance, from etiquette schools, or simply self-taught from observations of how others do things. What's more (and disturbingly so) is that etiquette varies from country to country all over the world. In America at least we have voluminous books to rely upon, like Emily Post and Amy Vanderbilt - who mostly base their principles on proper British etiquette. Having good manners on the other hand is something that stems from the soul. It has to do with empathy, being aware of other people around you, being courteous and respectful, putting others before yourself - politeness based on the Golden Rule "Do Unto Others". There's a few specific guidelines we're all familiar with, like not slamming a door in someone's face, helping old ladies cross the street, or giving your seat to elders on the bus. But if you don't already have this compassionate attitude toward others in your soul, then good luck with learning it from a book. There's an urban myth variously attributed to Queen Victoria, Queen Elizabeth and several others, wherein a guest at a formal dinner sipped water from her finger bowl. The hostess, whoever it might have been, immediately picked up and sipped from her own finger bowl so her guest wouldn't be embarrassed. The take away from this charming legend, of course, is simply that good manners should triumph over proper etiquette. Most certainly it's nice to be possessed with both manners and proper etiquette at the same time. But having to choose, good manners are decidedly priority. The specific rules of etiquette can and will fall into place along the way, if and when needed. For the past year I've been following The Royal Butler's blog. Grant Harrold, formerly in service to British royals and now a well know commentator and instructor, gives us points on both manners and etiquette in a most delightful and humorous sort of way. (He's also on Twitter @TheRoyalButler) So if you need to brush up, or have recently become rich, this would be a good starting point to pull it all together. As always, thanks for dropping in this evening. I hope your summer is going along nicely. Thanks and Happy Fourth to you as well. Tonight you can bet the rich are watching fireworks aboard their luxury yachts in New York Harbor, from rooftop restaurants in their private dinner clubs, or perhaps on the verandas of luxury hotels. HAVE YOU READ ANDREW'S BOOK?
" - Williams' insights into the lives of the wealthy and those who serve them intrigues" Kirkus Reviews. TWITTER: @TheButlersTale EMAIL: thebillionairesbutler@gmail.com. Simple theme. Theme images by rami_ba. Powered by Blogger.